StarWhispers, a club of computers and communications enthusiasts has spread a network of influence from the Spinward Marches, along a swath of the Imperium, all the way to Terra. Approximately 100 star systems (and growing) have a mall communications relay within hailing distance of the StarPort. 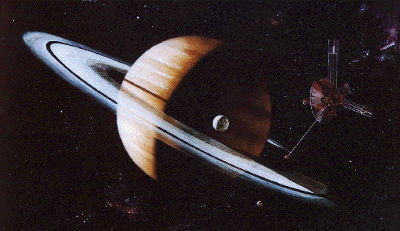 Consisting of a Model 1-bis computer, a powerful planetary range communicator, a solar cell and battery storage, and a microthruster. StarWhisperers leave messages, proposed library program additions, map chip data, old scanner logs, resumes, want ads, business proposals, correspondence courses, etc, in the computer’s memory for other members to find. Membership can be applied for at any Type A or B StarPort on the Imperium’s Spinward edge. The cost is kCr 2.5, takes a month, and membership is for life. After an application is processed, a package will arrive from the nearest world with a tech level E+. If the application included an itinerary, it will catch up to him after 1D months. It contains a Hand Computer, Model 2bis, program capacity of 6, tech level E or F. It contains a club version of Anti-Hijack (allowing unauthorized entry to the computer only on a 4 or less), a version of ECM, and an empty private Library, with a full suite of software tools to produce, create, and edit any work of art except holography. It can take still pictures, video, or record sound, and radio communicate 100 km. A communications relay : Image from wikimedia. Public domain. Created by NASA. After gaining membership in the club, and establishing an online presence across a few dozen systems, players start to meet online actors again, and think of ways to use the club. 1. A SW relay at a Type C system contains some detailed map chip data of 1D-2 planets in the subsector that are of particular interest to the players. These data include CommCode (phone) directory information, and extensive library data about residents and business, and government, religious, and non-profit groups on all of them. 2. A Merchant character gets an idea from examining message traffic collected while cruising past a SW relay in a Type E semi-frontier starport system, and is able to generate four cargoes leads in the trading week at his next two ports of call, instead of the usual three. Trade Burst. 3. There is a puzzle on a SW message board relay in a Type A StarPort city. Throw 10+ to solve, +Computer, +1 Int C+. It reveals a notice of a standing offer to purchase certain kinds of machine tools on a Vacc world or in an Asteroid belt system in the sector, for the next year. Any Book 2 sized cargoes of that will sell out at +2 due to demand, but no Broker will be necessary, available, or even possible for these private deals. 4. Libertarian cultists STORM are recruiting for personnel to staff a budding asteroid industrial base. There are positions available from prospecting, mining, 0-G Construction, and hydroponics specialists, to metallurgists, mercenary teams, teachers, scientists, and engineers. Their cult revolves around the Golden Rule, a square deal, and forthright, even provocative speech. They have a sober, “squeaky clean” reputation, and in truth carouse very little if at all, but are intent on building a society according to their vision, involving hard work, thrifty living, clever investment, advanced education, universal military service, universal access to universal surveillance, and the highest standard of living for all citizens. 5. A musician leaves some dreamy, celestial music videos and artistic writings on a SW relay in the middle of nowhere. The writings contain a coded section (roll 10+ to decode, +Computer) which describes a ritual that can be done with five simultaneous viewings of some of his works under a precisely calculated dosage of Fast drug. Roll 11+ to perform the ritual correctly, +1 if Commo or Computer skill, +Medical. Upon success the ritualist will perceive a secret message in the music. The composer wants to collaborate with a Computer Programmer (he has no skill) on a project based on an artistic symbol language of his own invention. The Referee should determine the degree of usefulness/credibility of this mental construct. Roll Again: On 1-2 the artist has reconstructed a logical pattern in computer science that is technologically trivial and of no commercial value, whatever the experience of someone studying it from the artist’s metaphysical perspective might be, On a 4 it is the pattern of an expert system, a crude artificial intelligence shell and worth some money with a week of finishing work from someone of Computer-2 or higher, on 8+. On a 5 it forms an unknown pattern, throw 10+, +Computer to recognize it as a virus before executing it, to the great detriment of the hardware it is run on! -1D to Computer Level. It will require a successful attack against an anti-hijack program at level-0. On a 6 it forms a pattern generator that, after a week of Computer work, will make structured sound patterns that some people will think is music and enjoy greatly, but many people will hate. In particular, extreme extroverts and anyone with Carousing-3+ will find this music baffling and eventually irritating. The patterns are complex, and slightly more attractive (+1 on Reaction) to intelligent people (Int C+). Not very danceable. 6. While inspecting the contents of a SW relay at a Type D or E starport, the relay computer automatically triggers an ECM package as another starship approaches. The relay has received some ship traffic news from passing vessels and the profile of this ships travels stands out as fake. The ECM area gives the players a chance to evade the pirate ship’s notice, or detonate their missiles prematurely if combat begins. This relay has a well maintained expert system of commercial grade, and is declared freely copyable and distributable by the creator, provided his name and a contribution address to StarWhispers Foundation are not deleted.